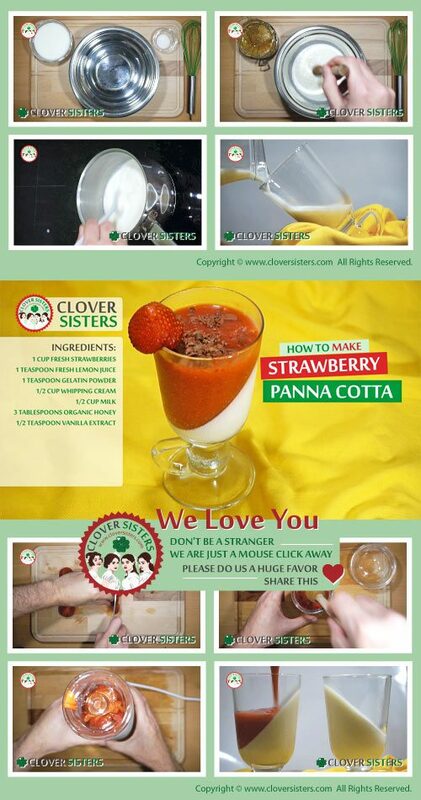 This refreshing, creamy, beautiful panna cotta or cooked cream with a fresh strawberries is so delicious and perfect dessert for summer days. Very simple, yet restaurant quality desert, easy made and served as perfect end of the meal. Put the gelatin powder into the milk and let it sit for about 5 minutes. Add the whipping cream, 2 tablespoons honey and vanilla extract. Put the mixture in the saucepan over medium heat and cook and stir for about 3 minutes. Pour the mixture into glasses and leave it for several hours in the fridge. Put the lemon juice, honey and strawberries in a small saucepan, bring to a simmer and cook until the sauce has thickened. 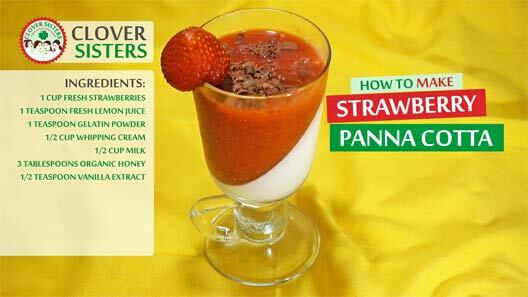 Pour the sauce into a blender and blend the mixture until smooth. Remove the seeds out of the sauce with a strainer, let it cool and pour it into glasses over previous mixture.